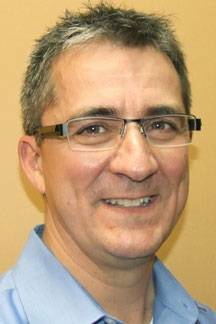 Dr. Mark Pitcher graduated from the School of Optometry at the University of Waterloo in 1992 with honours. He fulfilled his four years of undergraduate requirements at Brigham Young University in Provo, Utah where he was on the Dean’s Honour Roll each year. He qualified as a member of the National Optometric Honours Society, Beta Sigma Kappa 1989-1992 while going to optometry school. He received his Therapeutic Pharmaceutical Agent Certification from North Eastern State School of Optometry in Tahlequah, Oklahoma in 1993. He had the privilege of working as a staff optometrist in ophthalmological settings such as the Gimbel Eye Centre and the Jans Eye Center in Calgary, Alberta. Dr. Mark Pitcher continues to take advantage of training opportunities to increase his expertise. 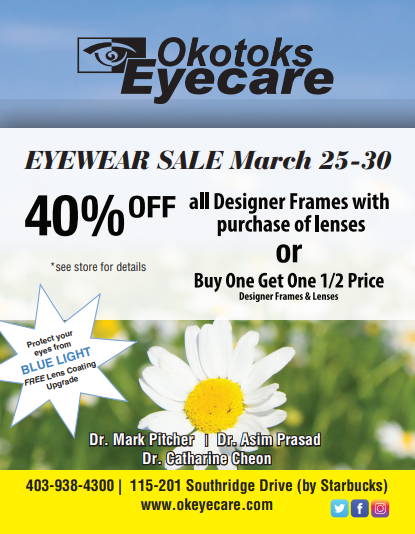 Dr. Mark Pitcher purchased the current optometric practice in 1999 which eventually was renamed to Okotoks Eyecare and it was relocated to its current location. He is grateful for the many patients that he has been privileged to serve over the years. He still finds the ever changing innovations that occur in eye care especially interesting. He believes that investing in continuing education for himself and others in the practice is extremely important. His belief is that we need to give our patients the best and the latest in innovative eyecare. His purpose is to do all we can to optimize our patients vision now and in the future.